An IBC sister shares a thought with us and it was too powerful not to post. While waking up from a little nap during chemo, I found myself pondering the idea that so many people somehow think that a less than expected and desired quantity of days with a beating heart somehow cancels out the quality of those days. 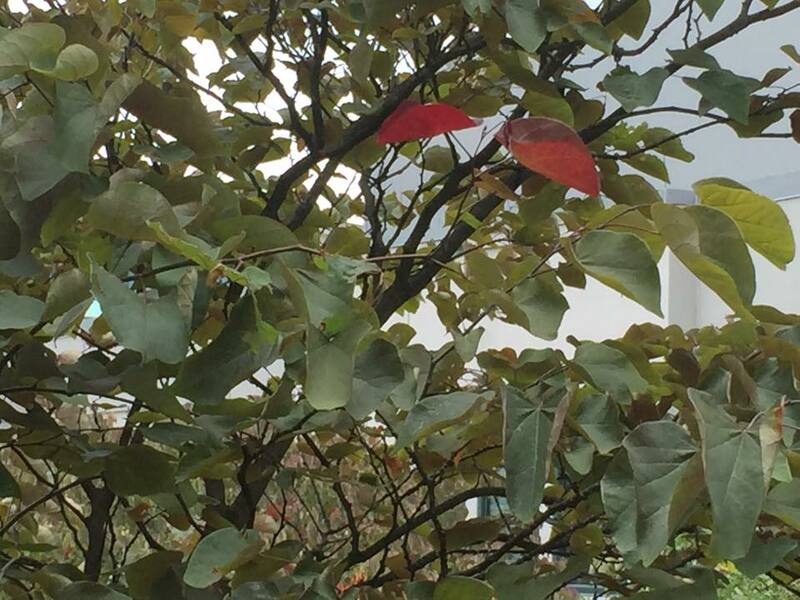 Then I opened my eyes to look out the window to see this: two leaves turning red way too soon. They will likely go from red to brown and fall while the rest of this tree is still green. Thought is that timeline doesn’t change how beautiful they are right now. Human life is the same way. After a valiant 2 1/3 year battle with Inflammatory Breast Cancer, Holli Durkin departed earth peacefully from her home, late on the evening of All Saints Day, 11/01/2016. Thanks to all who provided love, laughter, and support on her journey. We will all miss her, yet know that she will be watching over us from above. A memorial service is being arranged. For those who wish to contribute, Holli requested that donations go to the IBC Network Foundation.